Guosong Yang (ECE) Best Poster Award! Saurabh Jha (CS) Best Poster Award! The Best Poster Awards are given to students only, excluding postdocs! The postdoc judges group was impressed by the quality of all UIUC presentations and posters! We are excited to host the first Job Fair at the student conference this year. IBM Research, Caterpillar, Wolfram Research, Google, Intel and more companies will be there! For more details, Please visit here! Keep updated by joining our Facebook event here! 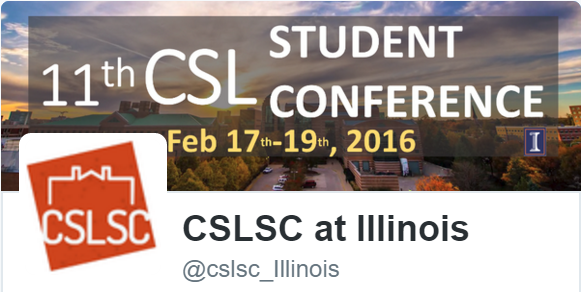 And follow us on Twitter @cslsc_illinois!